Here's an easy one for ya! I don't really have much to write about this pattern, except to say that it is extremely simple. I think I have said that about almost all of the Get Hooked! patterns that I've posted. I guess that was the whole idea...to supply super easy patterns to those wanting to learn or just beginning to crochet. Oh, and the best part being that they are completely free! So, if you can do a chain, a single crochet, and a double crochet, then you are ready to get to work on this pattern. 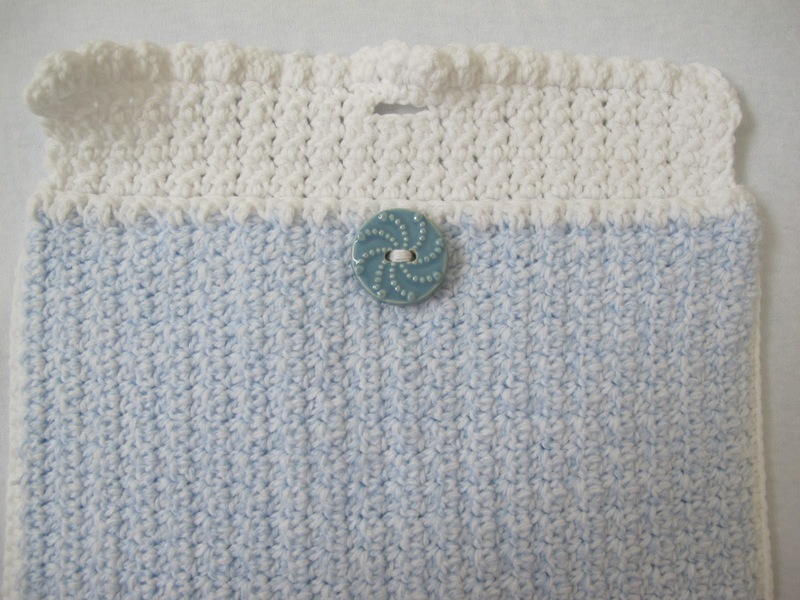 This pattern is for a little clutch purse that has a sweet, subtle texture to it. You can use any type of yarn/color combination that you want. 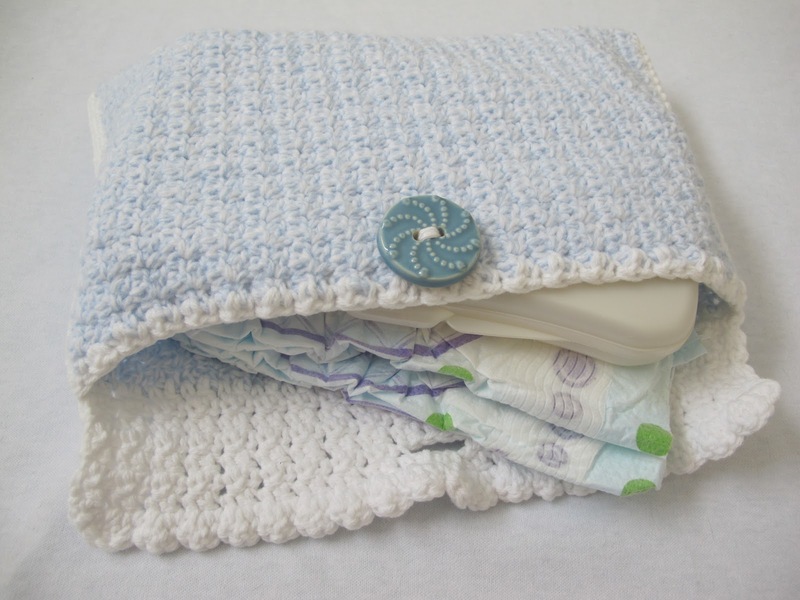 This pattern creates the perfect sized bag for all your stuff, and could also double as a diaper clutch (which is what I'm using it for right now!). Hi! I am just now discovering your blog and patterns! 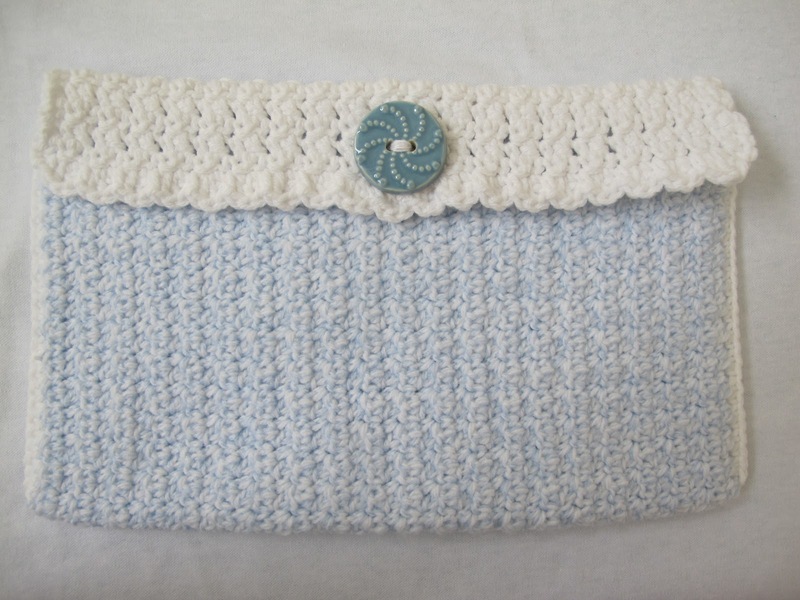 I was hoping to get the patterns for the "simply textured crochet clutch" and the "crochet bow belt", as one of my close friends just found out she is pregnant! I would love to make the bow belt for her gender reveal and the clutch for her to pack a few diapers and a package of wipes. I can't even count the times that pattern would have helped me when my daughter was a newborn. Pregnancy, and even "mom brain" are SO, SO, SO, So real! :) Thank you for sharing your patterns with us and keeping them free. Happy crocheting!